Meet Francesca Lia Block as she reads from her new YA novel Love in the Time of Global Warming. “The beloved star of Block's Weetzie Bat (1989) is back in this charming prequel that finds her at age 13 in the seventh grade, which is like the bad kind of Wonderland. Her beloved dad, Charlie Bat, has decamped for New York after one fight too many with her mother, former starlet Brandy Lyn. Devastated, the woman attempts suicide only to be rescued by a mysterious young man who will loom large in Weetzie's life. In the meantime, our girl begins receiving mysterious messages that may change her life for good or for ill. Weetzie may be younger (and called by her real name, Louise! ), but her magical milieu of Los Angeles remains the same: a city where stars leave their handprints in theater courtyards and sunsets are like Pink smog. Block's new novel is an intoxicating mix of mystery, fantasy, and romance told in her signature poetic style and peopled by guardian angels, witches, a goddess, and a demon. Yet all is rooted in a sometimes dark reality of a sensitive young girl who desperately misses her father and is the object of scorn at school. There is hope in new friendships and, as in all of Block's books, there is love, which may be a dangerous angel but is also a life-saving and affirming force to be reckoned with.” – Booklist, starred review We will also be debuting Francesca's new Wildfox collection!! A collection of dreamy t-shirts based on characters from Magical Creatures. Francesca Lia Block , The Waters & the Wild. Sponsored by the Children’s Booksellers and Publishers Committee [A cooperative committee of the American Booksellers Association (ABA), Association of Booksellers for Children (ABC), and the Children’s Book Council (CBC)]. Get to know twenty children’s book creators up close and personal! Authors and illustrators will move from table to table, stopping for quick get-to-know-you chats. Please note: this event is for booksellers only! Francesca Lia Block's book Open Letter to Quiet Light was available from LibraryThing Early Reviewers. Francesca Lia Block's book Quakeland was available from LibraryThing Early Reviewers. 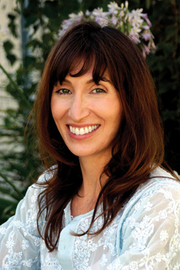 Francesca Lia Block is currently considered a "single author." If one or more works are by a distinct, homonymous authors, go ahead and split the author. Francesca Lia Block is composed of 11 names. You can examine and separate out names.